A navy T-shirt right? Well, yeah. And completely not. It’s 147 quid for a start. So, assuming you’re a rampant consumer of menswear with surrealistic price tags, you’ll find this fact simultaneously pleasing and displeasing. Pleasing because, well, you’re not the kind of bro to garm-up on a budget. But displeasing because while you act like a lord, you’ve got the bank balance of the guy who mucks out the lord’s potty. I won’t tell anyone if you don’t. Either way, it’s one and a half ton for a navy T-shirt. But one crafted by Japanese brand N. Hoolywood from mixed panels of nylon, rayon and cotton – so that makes it good right? 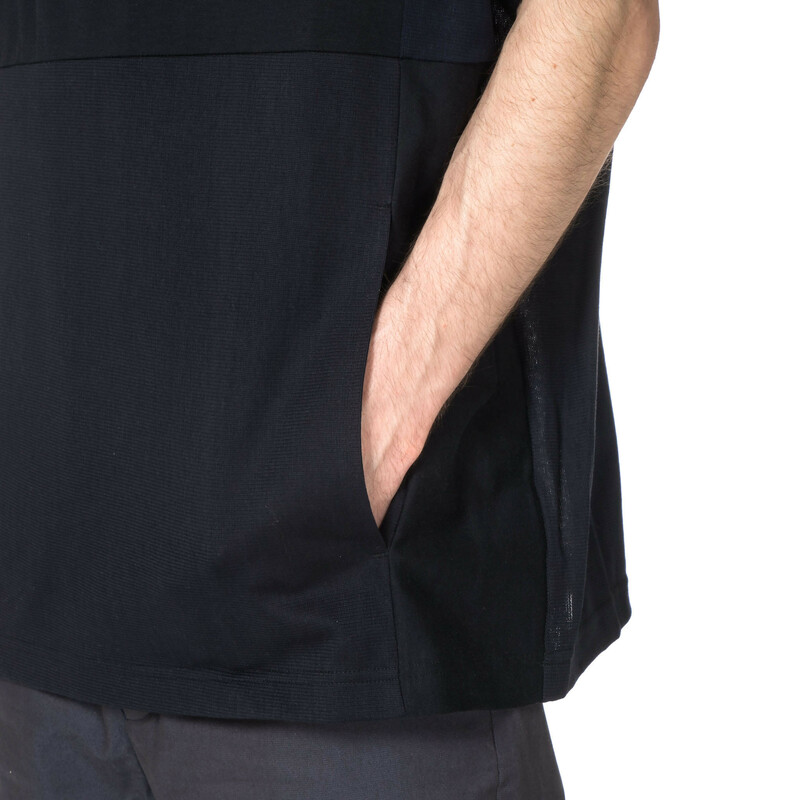 This rarified blouse also features a couple of pockets hidden in the seam. 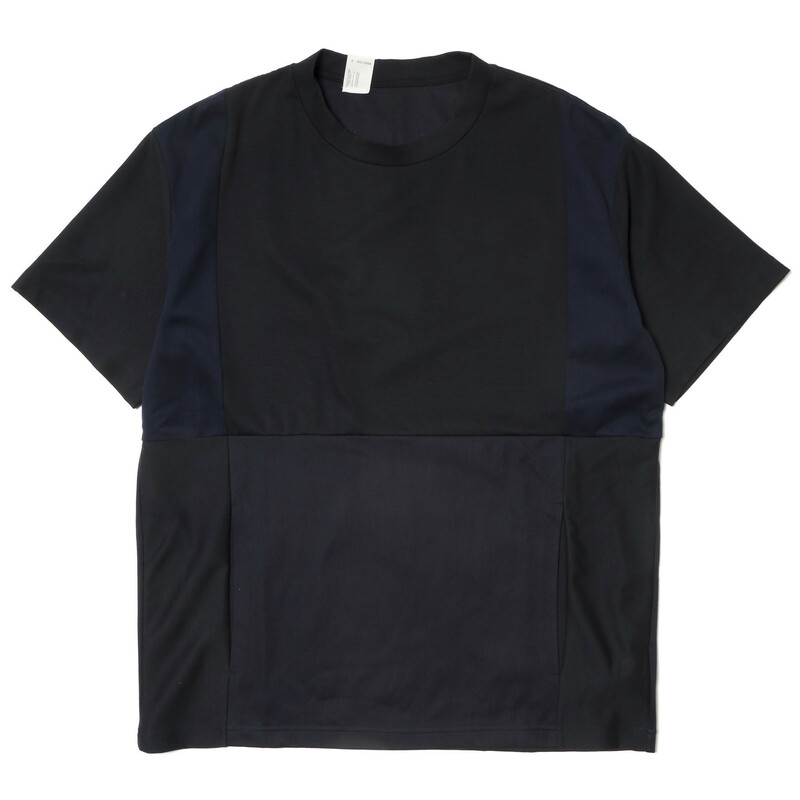 So depending on your perspective, you’re either getting a subdued statement of Japanese streetstyle, or a bunch of off-cuts, lockstitched together, for a premium. 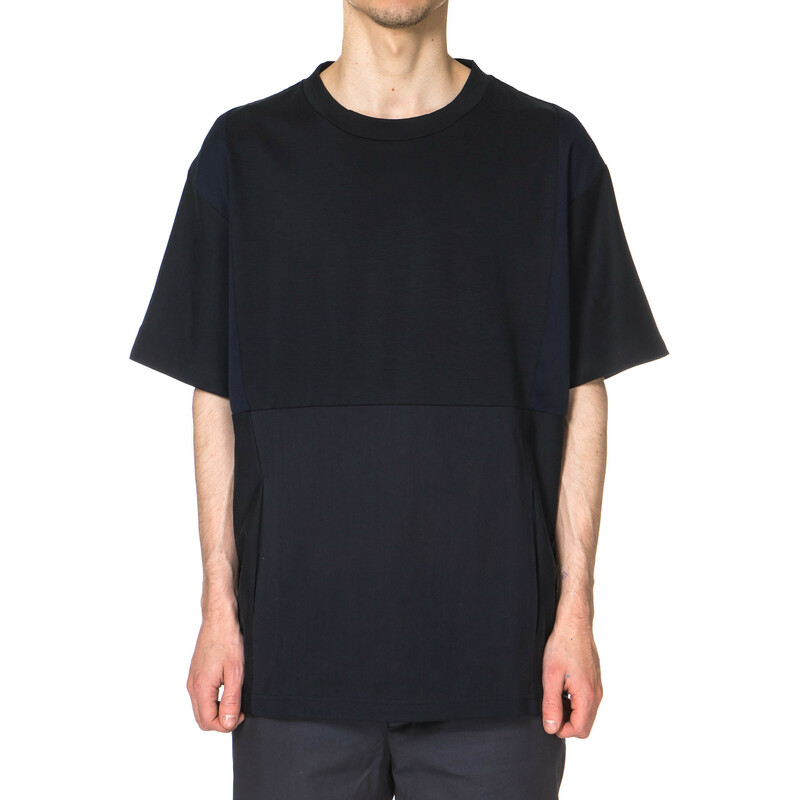 Got to say, I do like the drop-shouldered, over-sized look – I’ve got no time for skinny Ts. And the variation in fabric is strong, assuming you’re somewhere bright enough for others to notice. 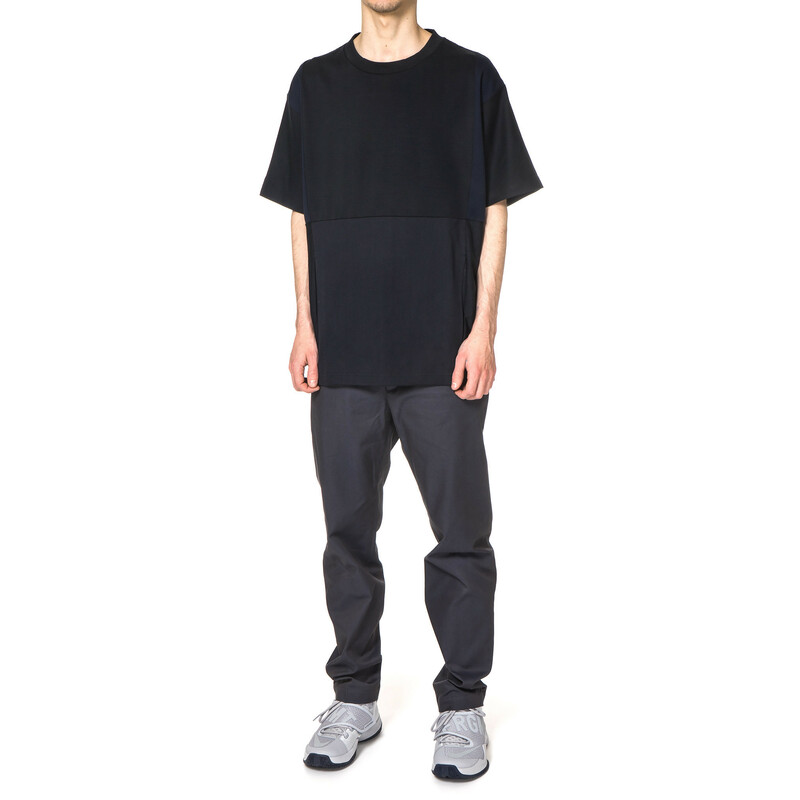 Let’s be honest, if you’re busting this in a dank club, people will probably assume it’s an XXXL Hanes.